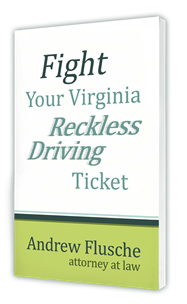 If you’re issued a ticket for a traffic or misdemeanor offense in Virginia, the officer brings the ticket to you and normally asks you to sign on the form. A lot of times people wonder what that means when they’re signing the ticket. When you read the Virginia Uniform Summons, you will see that the line where you sign is just saying by signing this line I promise to appear in court on the day and time indicated. Your signature on the summons then is not any indication of guilt or admission at all. It is simply a promise that you will come to court to answer for the charge. What if you don’t sign the summons? What will happen? Unfortunately, if you don’t sign the summons, what may happen is that you might be arrested by the officer. In fact, that’s quite likely. A summons is kind of an easy way for the officer to give you a charge in the sense that it’s easy on you by just getting a piece of paper and coming to court later. It also saves the officer time from having to arrest you. If you commit a misdemeanor or traffic infraction in Virginia the officer most likely has the ability to arrest you for the offense as well. Unless you want to find yourself being handcuffed and taken off to the local jail, usually signing the summons is the better course of action and of course, being cooperative with the officer is always important. If you’ve been issued a Virginia Uniform Summons, please give me a call to have your free consultation so we can see what we might can do about your case.